As the weather starts to get warmer and your winter starts to melt away, the aroma of barbecues will start filling the air with the promise of summer. We vegans, (and even those who are part-time vegans, wannabe vegans and non-vegans), need delicious alternatives to the sizzling burgers that are ubiquitous at every summer party. A veggie burger has limitless possibilities because you can take any number of interesting & healthy ingredients, slam them together in creative ways and voila, you have a new culinary creation! 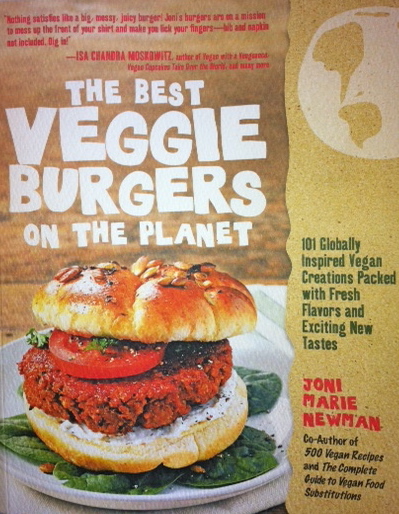 “The Best Veggie Burgers on the Planet” by Joni Marie Newman is one of those veggie burger bibles that inspires you to embark on a “Julie and Julia” experience of cooking your way through the entire book. Newman offers 101 vegan burgers recipes organized by world cuisines and using as many veggie ingredients available! Newman cleverly draws from different geographical areas of the world and creates a burger using the flavors of each cuisine with tasty results. From Italian to Middle Eastern to Mexican to Asian, she has conjured up burgers from every place imaginable and some you can’t imagine (Slovenia? )–the list is excitedly comprehensive. In addition to great burgers, there are recipes for suggested sauces and condiments to go with them. Top it off with how-to’s on buns, sides and desserts and there’s very little this book doesn’t cover. There’s even a chapter on sweet and savory breakfast burgers, as well as burgers for the holidays. Believe it or not, there’s even a Savory Noodle Kugel Burger! My husband was so inspired by the book and his love of burgers, he carefully chose a handful of recipes that “spoke” to him and adventurously whipped them up, one by one, for our approval and critique. The family loved them all and appreciated the variety and versatility that the burgers allow. We delighted in the Asian-inspired Edamame Burger, the Basic Black Bean BBQ Burger from the heartland of America chapter and the Sun-Dried Tomato and Pesto Burger, and more. We experimented with oven baking, frying and barbecuing to figure out which burgers worked best in which cooking environment. (Newman also makes suggestions regarding this.) The key was to get them to stay together and have a crispiness on the outside with a softness on the inside like a “real ” burger. Here is one of our favorites…. 4) In a large mixing bowl, combine the beans, peas, cashews, curry, ginger, tahini, and oil. Gently mush the peas and beans but don’t completely mash; chunky is good. 5) When the quinoa is cooled, fold it into the mixture an add the cornstarch and salt and pepper to taste. Mix well using your hands. 1) This burger is better panfried than baked or barbecued. 2) It’s also a nice side dish if panfried in a crumbles instead of patties. 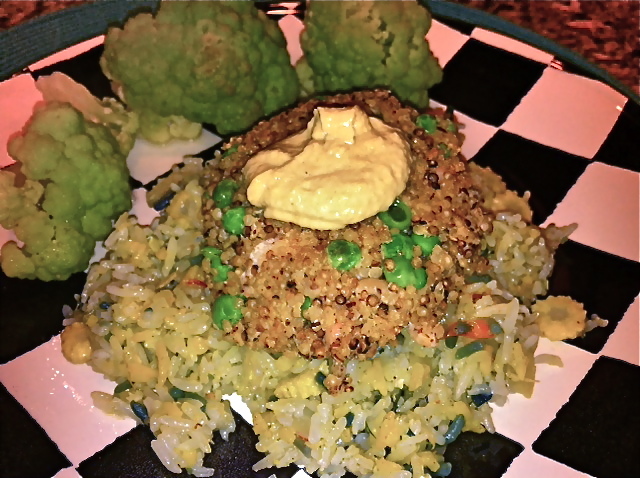 3) I served on a bed of Confetti Rice from Trader Joe’s with a side of cauliflower. 4) For the topping, I made my own tahini mustard dressing—equal parts Dijon mustard, tahini and veganaise. Thank you, Joni Marie Newman, for your inspired creativity! I like the fact that you only use a “smidge” of oil to pan fry these delicious looking quinoa burgers. 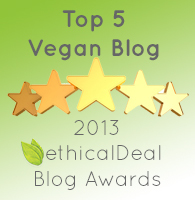 The mustard, tahini, veganaise dressing looks like a winner too! I just happen to have this veggie burger cookbook, but I haven’t had a chance yet to use it. Can’t wait to try it. It looks great! Great post! Awesome post! Thanks for the kind words. I am glad you and your family are enjoying the book! It’s awesome! We’ll be enjoying your recipes for a long time to come!